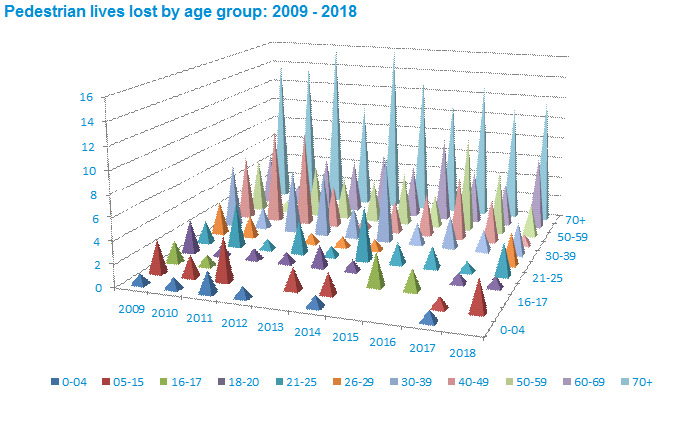 In the last 10 years, more than 400 pedestrians lost their lives on Victorian roads, with one third of pedestrians who lost their lives aged 70 years or over. Most (74%) lost their lives in Metropolitan Melbourne, and most (67%) were male. Over the last five years, an average of 37 pedestrians were killed each year on Victorian roads.